New Freedom Fighters Series Coming Soon! 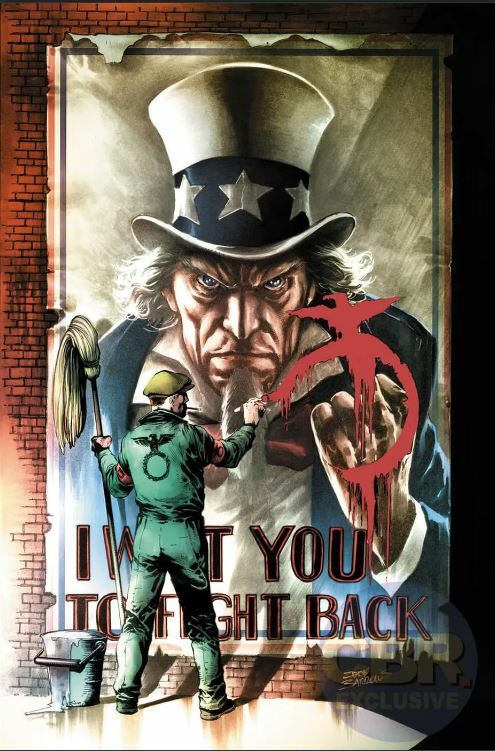 There’s a brief article on Newsarama about a new Freedom Fighters series coming in December, written by Robert Venditti whose work I’ve enjoyed over the last few years on Green Lantern. And, even better, it’s set on Earth-10 / Earth-X from the Multiversity series so we get one of my favourite teams and the multiverse in one go. Just a shame it’s a 12 issue miniseries as opposed to an ongoing, but I will take what I can get, thank you very much. Posted on Saturday, September 15, 2018 Friday, September 14, 2018 by GaryPosted in UncategorizedTagged Freedom Fighters. The art looks pretty solid, and I like what they did to Plastic Man. Maybe if its good enough they’ll consider extending it. Yeah, looking forward to this, I must admit. By the way, since you changed your blog’s layout I haven’t been able to comment – I’ve tried logging into Blogger first and still nothing. Weird. Really? That is weird. I wonder why. I’ll go check it out. I was able to supply a comment. Try it again. Nope, no joy – just tried commenting on the Thor wallpapers (which are pretty cool, by the way) and it just won’t post. I’ll double check my settings here – some adblocker thing, maybe? Shouldn’t be any of those on there, and thanks. I’ll change the layout again and see if that works. I changed the layout, so see if you’re able to comment. Thanks, but still no joy – it’s trying to get me to create a Google + profile! Okay I changed, and removed the Google plus thing. It always was set for anybody leave a comment, so I don’t know what changed.